Available mid-week and weekends from April to the end of October. 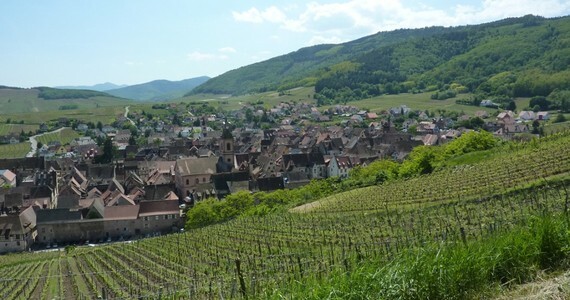 For those looking for a mid-week or weekend Alsace wine tour with a good introduction to the various tastes and styles of Alsatian wines available, this may be the answer. 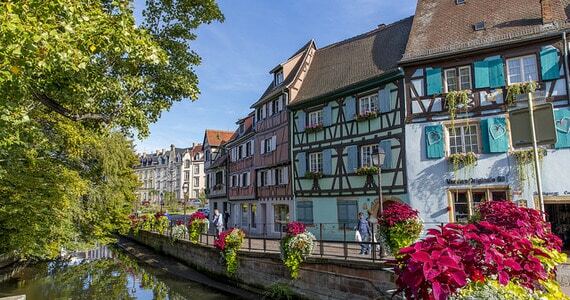 Based in Colmar, the capital of Alsace wines, these three and four day breaks combine discovery of the local wines and gastronomy as well as good value for money. Your trip will start with a tutored tasting session of five Alsatian wines in the caveau of a premium local estate. On the morning of day two, meet your English-speaking driver/guide at a central departure point for a full day transported wine tour in the Alsatian vineyards. There will be a maximum of eight people on the tour. You will be taken to three different wineries located in various areas and will learn about the unique wines of the region as well as gaining an insight into the local wine making process. At each estate, you will be welcomed by the cellar master or a member of the family and you will enjoy a guided tasting session of the estate’s wines. You will also be taken to a picturesque village where you will be given some free time for lunch and to explore your lovely surroundings independently. At the end of such an enlightening day, you will be transported back to Colmar. In the evening, a three course dinner will be served in a traditional French restaurant of the city centre. Your dinner will be accompanied by an aperitif and two glasses of local wines. 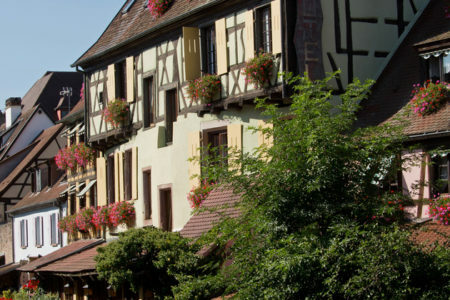 If you opt for the four day break, then day three will comprise of a free morning to relax at your hotel and/or further explore the lovely Colmar. You may wish to have a look at the charming half-timbered houses of the story-book Little Venice as well as the tanner’s and fishmonger’s quarters. Alternatively you may wish to do some shopping in the quaint little boutiques or go to the covered market which is open every day except Mondays. 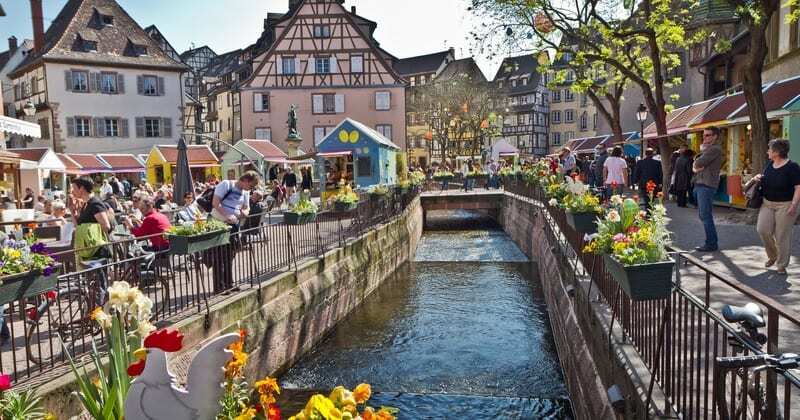 After lunch, you will meet your English-speaking driver/guide for a half day tour including tours and tastings at two premium Alsatian wineries as well as a visit to a quintessentially Alsatian village such as Eguisheim, Pfaffenheim, Rouffach or Turckheim. Once again there will be a maximum of eight people on the tour. You will be taken back to Colmar at the end of the day and evening will be free to do as you please. 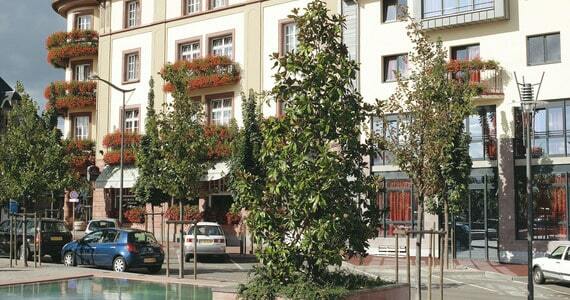 Upon arrival in Colmar, check into your chosen hotel in the town centre. After settling in, a tutored tasting session of five local wines will take place in the caveau of a renowned local estate. 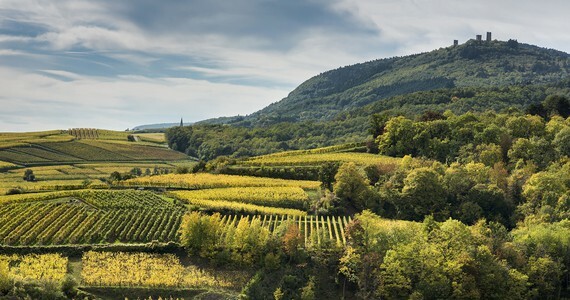 Your tour day will comprise of a full day tour in the Alsatian vineyards with tours and tastings at three different wineries where you will witness the century-old wine making process. The tastings will be commented by the cellar master or by members of the family. In the evening, a three course traditional French dinner including drinks will be served in a gourmet restaurant of the town centre. After breakfast, you will be given some free time to do as you please. You may wish to have a lie in. Alternatively, you may prefer to explore the town centre independently. The authentic tanner’s and fishmonger’s quarters are absolutely charming, and the area called Little Venice is a must see. After lunch, meet your English speaking driver/guide at a central departure point in the city centre. 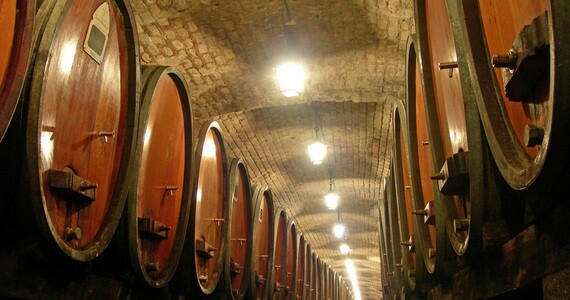 Your tour day will comprise of a half day tour in the vineyards with visits and tastings at two Alsatian wineries. You will also visit picturesque small villages such as Eguisheim, Pfaffenheim, Rouffach or Turckheim. You will be taken back to Colmar at the end of the tour. Once again we would be pleased to reserve you a table for dinner. Le Grand Hotel Bristol: Travel any time between the 22nd and the 29th of March, the 02nd and the 26th of April as well as in July and August and enjoy a discount of £30 per person on the three day break and £50 per person on the four day break. These discounts increase to £55 per person on the three day break or £85 per person on the four day break for travel between the 1st of January and the 21st of March as well as between the 26th of October and the 22nd of November. Stay longer! An additional night’s bed and breakfast costs £67 per person in a Classic room and £82 per person in a Deluxe room at the 4* le Grand Hotel Bristol. For the 4* Hostellerie le Marechal the extra night prices are as follows: £77 per person in a Classic room, £87 per person in a Comfort room, £117 per person in a Deluxe room and £142 per person in a Suite. 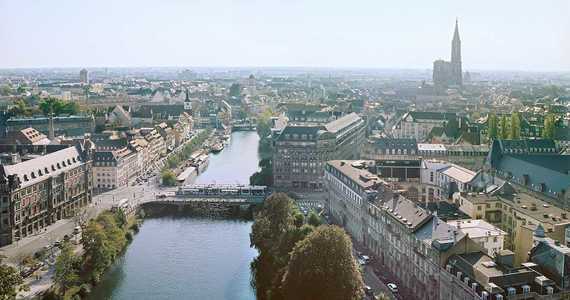 Visit Strasbourg. 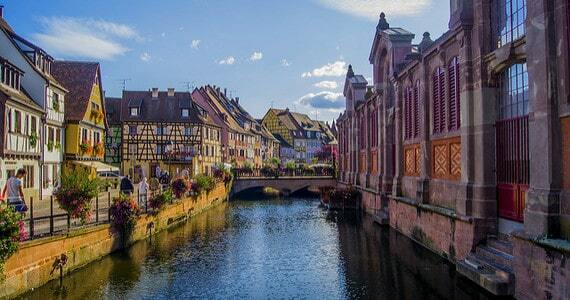 Strasbourg, the capital of the Alsace region, is only 50 minutes by car / half an hour by train from Colmar. Why not treat yourself with a night or two in this charming bicultural city? We work with a wide range of hotels in the city centre and would love to recommend some great activities to make the most of your stay. Please contact us for details. Riquewihr tour extension. 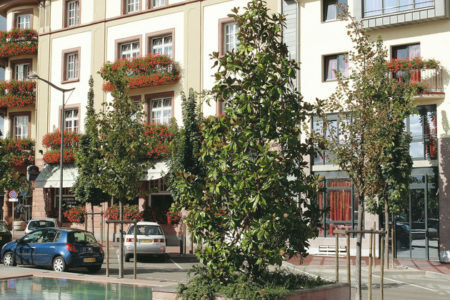 We offer a great value, flexible break based in the picturesque village of Riquewihr, which lies on the Alsace wine route. Full details can be found on our website. 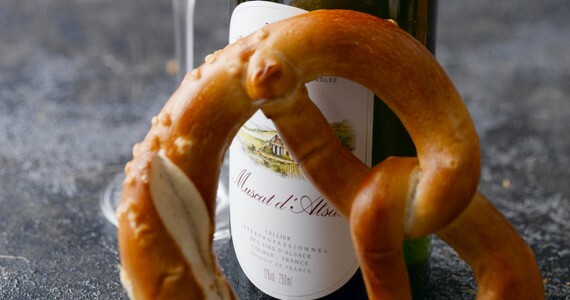 The price of this package does not include travel to Alsace. Please contact us for further information or find out more on our website. Lesley and I would just like to thank Jenna and the team at Grape Escapes for organising another excellent trip for us. The timing of the visits were spot on and the wineries that we visited were all different and had something to offer and educate us, apart from the wine of course .